HHS joined Advocate Aurora Health on Tuesday to urge Congress to tweak a long-time anti-kickback law they say is scaring providers from entering into value-based care models. The Stark law prohibits doctors from referring Medicare patients to hospitals, labs and colleagues with whom they have financial relationships unless they fall under certain exceptions. Physicians and hospitals can be found liable even if they didn't intend to violate the Stark law, and offenses can carry significant financial penalties. The group testifying Tuesday at a House Ways and Means health subcommittee hearing said Congress must immediately place protections for providers that inadvertently violate the Stark law. No intent of wrongdoing is required to prove liability, and offenses carry potential civil monetary penalties. "This strict liability means that providers are often not willing to enter into value-based arrangements if there is even a remote possibility of violating Stark," said Michael Lappin, chief integration officer at Advocate Aurora Health, a health system with 27 hospitals in Illinois and Wisconsin. Lappin suggested legislation to clearly define noncompliance. This would help streamline regulatory enforcement around the law and allow government entities to focus on those violations that are truly affecting patient care, Lappin said. Congress should also consider ending prohibitions on hospitals using Medicare funds to reward or penalize physicians who are part of care models, according to Dr. Gary Kirsh, president of the Urology Group, a physician group that provides care in Ohio, Kentucky and Indiana. "Existing Stark and associated fraud and abuse laws are one of the principal barriers to the development of alternative pay models and the advancement of value-based care," Kirsh said. Violation of the law, however, is rare, mostly because of the stiff penalties it carries. Lappin said fear is so intense that his system's employed-physician arrangements require thorough analysis that can cost in excess of $20,000 for a single contract. Penalties include: denial of Medicare payment, recoupment of money paid out, civil penalties of up to $15,000 for each service that a person "knows or should know" was provided in violation of the law, and three times the amount of improper payment the organization received from the Medicare program. HHS Deputy Secretary Eric Hargan agreed that the Stark law as it currently stands slows Medicare's move to value-based care. However, he appeared reticent to offer specific legislative proposals to amend the law, despite lawmakers pressing him for solutions. 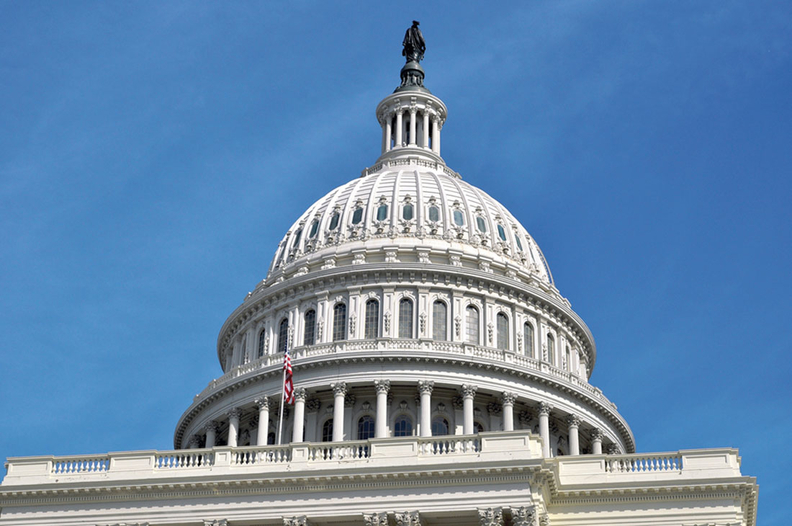 Hargan only referenced President Donald Trump's 2019 budget proposal, which included a legislative idea to establish an exception for providers participating in alternative payment models. "The Stark law may unduly limit ways that physicians and healthcare providers can coordinate patient care by restricting ways physicians can organize and work together and with others," Hargan said. In the coming months, HHS plans to draft a rulemaking that aims to reduce burden around the law. The policy will be based on responses to a request for information on improving Stark. However, legislation will also likely be needed, he said, and the agency would like to work with Congress to draft a bill. There appeared to be bipartisan support to update the Stark law to reflect modern care practices. However, Democrats and their only witness during the hearing both urged caution as they noted financially based referrals could again ramp up if there aren't adequate controls in place. Health Subcommittee Chairman Peter Roskam (R-Ill.) assured them that a balance would be maintained. "There is not this disposition that says let's just sweep this away," Roskam said. "But it really does feel like we can improve this." Roskam offered no timeline as to when legislation would be introduced. Following the hearing, a spokeswoman for him said the subcommittee was considering ways to modernize Stark and the hearing was meant to solicit feedback. However, for now, there is no immediate legislative action is pending, she said.